The Trade Mark Rules, 2017 have been notified and have come into effect from 06th March, 2017. These Rules, which replace the erstwhile Trade Mark Rules 2002, will streamline and simplify the processing of Trade Mark applications. •Number of Trade Mark (TM) Forms have been reduced from 74 to 8. •Modalities for determination of well-known trademarks have been laid out for the first time. •The provisions relating to expedited processing of an application for registration of a trade mark have been extended right upto registration stage (hitherto, it was only upto examination stage). •Over all fees have been rationalized by reducing the number of entries in Schedule I from 88 to just 23. •Modalities for service of documents from applicants to the Registry and vice-versa through electronic means have been introduced to expedite the process; e-mail has been made an essential part of address for service to be provided by the applicant or any party to the proceedings so that the office communication may be sent through email. •Hearing through video conferencing has been introduced. •Number of adjournments in opposition proceedings has been restricted to a maximum of two by each party, which will help dispose off matters in time. •Procedures relating to registration as Registered User of trademarks have also been simplified. It may be recalled that the examination time for a TM application has already been brought down from 13 months to just 1 month in January 2017; this is despite a stupendous 35% jump in TM filings in 2015-16 vis a vis the previous year. 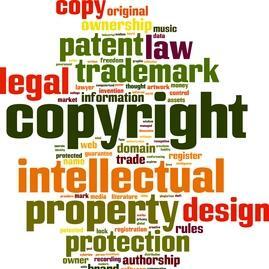 The new Rules should give a boost to the Intellectual Property Regime in India. •To promote e-filing of TM applications, the fee for online filing has been kept at 10% lower than that for physical filing. •Based on stakeholders feedback, the fees for Individuals, Start-ups and Small Enterprises have been reduced from that proposed in the draft Rules – i.e. only Rs 4,500 as against Rs 8,000 for e-filing of TM applications proposed at the draft stage.